and regularly experience the inconvenience, costs and even complications associated with taking medication. More than 50% of patients don’t follow their treatment plans…including medication. 23% of the time, Americans overpay for prescription medications. With RxLive, you can get a private, one-on-one, medication review sessions with a clinical pharmacist. Many people are eligible for annual or monthly reviews yet only 15-30% ever take advantage of it? 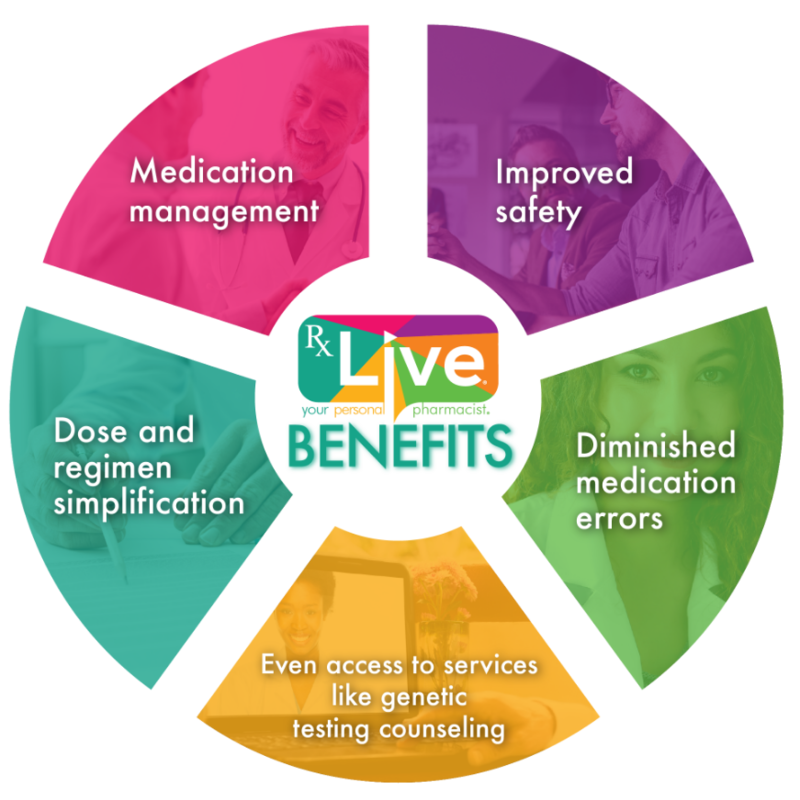 RxLive has made it simple for you to optimize your prescription medication for ease, safety, savings, adherence, and well, to get the health benefits you’re looking for. But hasn’t my doctor already reviewed all this? While doctors are medical experts, providing diagnoses and recommending interventions to keep people healthy, they can hardly help navigate the fluctuating costs of your prescriptions. So your doctor’s office recommends an annual or monthly medication review with a clinical pharmacist for a fresh look at your medications, how you use them, tips on making the most of your prescriptions and even cost-saving strategies. It’s good to check your meds! How is the cost of a medication review covered? And Navigate out-of-pocket expenses with patient assistance programs or even recommend more affordable medication. Research shows that most people are unlikely to spend time with a retail pharmacist because the interaction is very transactional and not conducted in a private nor convenient environment. RxLive provides a 30 minute one-on-one live video or phone consultation with a clinical pharmacist from the comfort of home. Personal medication lists including over-the-counter, & supplements. 1. Simply call the RxLive phone number (866-234-4974) to schedule an appointment. 2. Choose a date and time. Receive reminder emails and/or texts to confirm your appointment. 3. Complete a few brief pre-appointment forms. 1. At the appointment time and date, connect a few minutes early by clicking the link from your email and test your camera, microphone and speakers. 2. You can also call the number provided using your telephone. 3. Meet your personal pharmacist and complete your appointment from the comfort of your home. Learn ways to make your medication regimen more efficient and effective, ways to save money, ways to avoid side effects and potential medication interactions.